September 2014 - Blue Rock Construction, Inc. 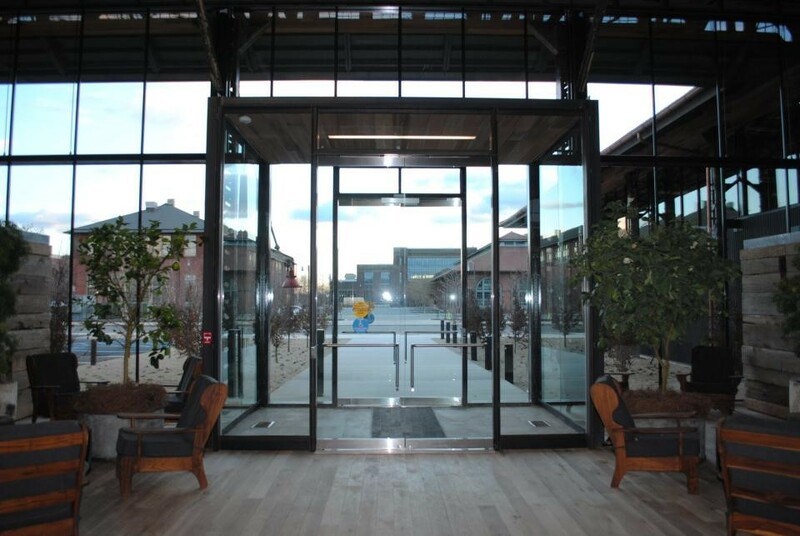 In support of Urban Outfitters planned expansion and initiative to hire 1,000 employees as part of its headquarters at the Philadelphia Navy Yard, Blue Rock Construction is pleased to announce the completion of Building 14, located on Kitty Hawk Avenue in the Philadelphia Naval Yard. 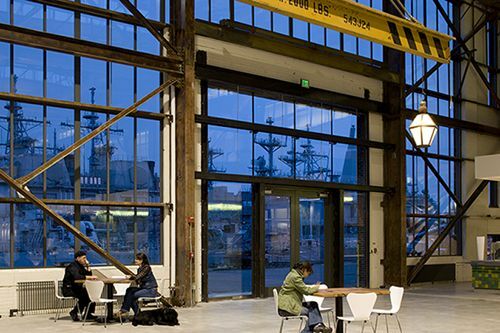 URBN has relocated their IT and transportation departments into Building 14 which previously housed the “Angle Smithery,” a torpedo repair shop for destroyers and submarines. Building 3 (Old Philadelphia Cruise Terminal Building) and Building 18. 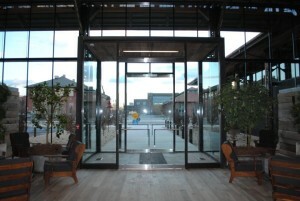 URBN’s IT & transportation departments were able to move seamlessly from Building 543 to Building 14. Blue Rock Construction, Inc. worked diligently with the Navy (neighbor to Building 14) to complete the removal and tie-ins of the exterior utilities located on the Navy’s property. URBN and Blue Rock Construction, Inc. were awarded the prestigious Grand Jury Award from The Preservation Alliance of Philadelphia for this historic renovation.